The most important thing to bear in mind, when looking at any aspect of Croatian business, is the dominance of the state. The Government controls about 40% of the economy, a much higher percentage than Western Europe, and indeed many other South East European Countries. Croatia is endeavouring to tackle this problem, as well as its large balance of payments deficit, by selling off part, or all, of many state owned companies, but this process has had its problems and has stalled on a number of occasions. Many of the state owned businesses that have been privatised have been bought by foreign investors. The US plays a low key but strategic role advising on the privatisation process. On the positive side, Croatia has a skilled, educated and reasonably cheap workforce that is under utilised. The official December 2005 unemployment rate was 18% and you will often find highly qualified teachers, doctors and vets, serving in cafes in the summer without complaint. The remains of the bureaucratic communist system, and continuing state control in many areas, do not positively encourage entrepreneurship other than at a very low level, primarily in some parts of the tourism or catering industry. This leads to a supposition that only the very small and very large businesses survive. I hope this will prove to be a sweeping generalisation! Statistics are available on many aspects of the Croatian economy but, in this first overview of business sectors, we will not give undue weight to them. This is partly because they can be confusing with inconsistent definitions, but mostly because the purpose of this article is to give the reader a feel for the nature of various sectors of the economy. At this stage, a better understanding can be gained by an appreciation of the background, relative significance and business culture rather than by pure numbers. This is a good example of an area where statistics may not help very much. Most families are involved in tourism in one way or another, either by letting spare rooms out, building new facilities, working in hotels, café’s and restaurants, providing recreation, services and goods, selling off spare produce, working in the numerous tourist offices, etc. Inevitably, whatever the business regime, this industry breeds a grey market and is difficult to define accurately. Tourism is so important to Croatia, and of so much interest to readers, that we have allocated this business sector a column of its own – See Tuesday Columns. (Monday's Column is dedicated to specific destinations). Suffice to say that the suggestion that tourism contributes 20% to Croatia’s GDP may well be wide of the mark. Government statistics focus on the number of “tourist nights” – 47.8 million in 2004. Do note however that nautical tourism is a very significant sub sector and one in which I have a special interest, so expect to see a fair number of postings on this subject in future Monday columns. This is one area where the state has limited control or overt influence. If England was once described as a nation of shop keepers, Croatia could be dubbed a nation of small holders. The rocky soil is surprisingly fertile and every spare patch along the coast seems to be packed with one sort of crop or another. The markets and roadsides are full of fierce looking matriarchs selling their produce and there still seems to be enough left over for their families to be virtually self sufficient throughout the year. Again, it’s a reminder of Old England with so many traditional skills and the population’s natural resourcefulness evident in day to day activities – wine making, olive pressing, meat smoking, cheese making and dry stone wall building to name but a few. Croatians also seem to be expert at finding underground wells for irrigation. Agriculture accounts for about 8% of Croatia’s GDP but it could be more and, again, there is a grey market. The fertile plains of the Neretva River, in the south, and Slavonia, in the north, are not fully utilised and we heard anecdotal evidence that the EU believes that Croatia could supply a large % of the communities needs if the resources were there to make it efficient. Whilst small holdings prosper, large farms are few and far between, partly because of the nature of the terrain, and do not have the sophisticated machinery enjoyed by their Western European counterparts. It’s hard to see, from some of the statistics, how the sectors are split. Looking at a range of sources, it would seem that “Manufacturing” consists of the industrial type (such as cement and steel), chemicals and chemical products, ship building, the food and drink industry (including canning and processing) and tobacco. That being the case, the group accounts for 20% of GDP with food, drink and chemicals taking 83% of that total. The industrial manufacturing base needs modernisation and investment but there are many local schemes evolving, eg in Sibenik, for providing investment incentives. The ship building industry is state owned and seems to be busy, with a lot of work coming from Finland and Sweden. It’s difficult to see just how profitable it is but it’s a fair bet that the state will continue to support it for a while to come. The food and drink industry is another success story with more than 10 of the Top 50 companies, by revenue, coming from this sector. Podravka dd is a national success story founded on the success of Vegeta – a yellow food flavouring/stock powder. Now a big influence in the food industry, it has also produced an English version of its cookery book which you can find at the “Bye Bye Shop” at Zagreb Airport, amongst other places. As elsewhere in the world, the Telecoms industry is changing faster than anything else. One of the amazing things about Croatia, given the proximity of the mountains all along the coast, is the fact that you can get five bars on your mobile almost anywhere. Look a bit harder and you’ll see why - there are almost as many visible masts as there are ancient relics and monuments and, quite often, they’re next to each other! T-Com now operate the main landline and cell phone networks though competition is beginning to strengthen. Croatia seems to have caught onto mobile phones and phone shops as fast as any other country and the internet industry is beginning to catch up. ISDN is relatively recent but Broadband is beginning to roll out and home PC’s, though far less widespread than in the UK, are starting to be an essential for most households with teenage children. Accounting for about 20% of GDP, competition is stiffening and most of the major banks are now owned, in part or in whole, by foreign investors. There are few controls on the flow of money for foreigners but exchange controls still exist for local companies. FINA, the state owned regulatory finance body that audits all companies books on a regular basis, needs plenty of paperwork for any payments overseas, especially for services. Most of the foreign investors are from Hungary and Austria. Surprisingly, Deutsche Bank does not seem to be overtly proactive and a phone call to HSBC a year ago suggested that Croatia was not yet part of the grand global plan. The third of the “grey industries”, along with tourism and agriculture, in that it belongs to the skill set of most families and is frequently used! We’re looking at property in Thurday’s Lifestyle column from the point of view of finding one. For the purposes of today’s posting, it suffices to say that the statistic of 6% of GDP is also probably wide of the mark. Over the past few years we’ve seen properties popping up on any spare plot of land as each landowner hopes to earn their share from the rapidly increasing tourist trade. Some of them take a few years to complete and it's reasonable to imagine that each wall and floor depends on the success of the tourist season that year. Aside from domestic properties, there’s offices, motorways, hospitals and factories. These seem to be happening at a much slower pace but we’ll need to research this sector in depth to get the real story. The registered catch has been around 20,000 tons a year and there are at least 15 canneries to process them. I hesitate to suggest that there might be a bit of grey here, as well, with fishing included in the average Croatian’s portfolio career. Like everywhere else, the stocks are low and local border disputes, in this case mostly Slovenia, are emotionally charged. INA, the petrol company is mostly state owned with the first tranche being sold off last year. There are a few other companies competing but the infrastructure is largely dominated by INA. The state also owns the electricity and gas companies but are dependent on other countries for much of the supplies. Petrol is about 15p a litre cheaper than in England and electricity is about the same price. Gas is cheap at the moment. More competition will help. This article aims to give the reader an overview of the business sectors and the environment in which they operate. It’s a huge subject that will be explored in greater depth as the weeks progress. In over viewing the key areas, by including personal insight and experience, rather than dry facts and figures, I hope to give you a feel for the subject rather than yet another in depth investment guide or economic review. These also have their place, however, and we’ll be looking at what’s available in a few weeks time. I suggested, early on in the article, that Croatia might be a nation of small holders. This was based on an admiration of how individuals managed whatever land was available to them. Re reading the post, I believe this is a considerable understatement. Croatia is a nation of skilled micro-entrepreneurs, limited only by the past dominance of the state, and just waiting for a business environment that allows them to grow and succeed more fully within a more flexible commercial environment. Croatia is much more accessible by air than it was two years ago. It comes as a surprise to many that it’s only a two hour flight from London, despite indications to the contrary in some airline schedules which seem designed to make sure they are never late! Four years ago your choice of carriers was limited to Croatia Airlines all year round or a charter flight in the season. Now, for London, it’s Croatia Airlines, British Airways and Wizzair (Luton), plus a myriad of charter operators in the summer. You can also travel, relatively easily, to most major international destinations from Croatia, with an ever increasing number of direct international flights being scheduled from Zagreb, Split and Dubrovnik, especially in the summer. Zagreb is the hub for Croatia Airlines with most London flights heading for Heathrow airport. There’s at least one flight a day, throughout the year, between Zagreb and London, and daily connecting flights between Zagreb, Split, Dubrovnik, Pula and Zadar. The connecting flights into Zagreb tend to leave early in the morning with the international flights leaving soon after. It’s the evening return to the local airports which is less easy to schedule with a limited number of planes, so the local flights all seem to leave around 9 pm, after the last international arrival of the day. In light traffic, the airport is about half an hour’s drive from the city centre, with regular coach services into Zagreb. It’s a four to five hour drive from Zagreb to Split and a further three to four hours from Split to Dubrovnik. 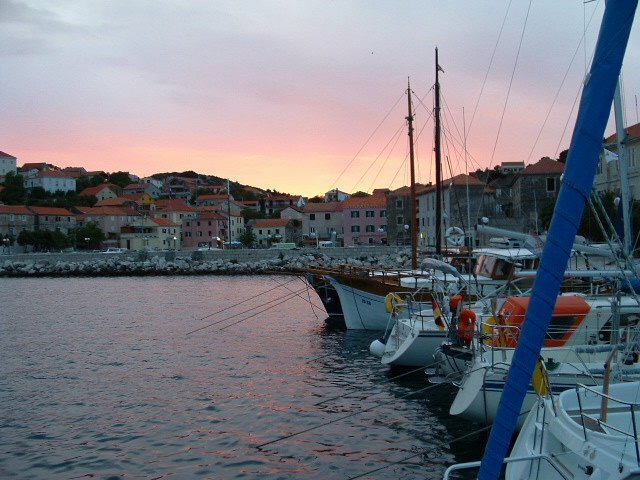 Dubrovnik airport is about 45 minutes away from the city and near to the lovely Cavtat. It’s Croatia’s second busiest airport, closely followed by Split, which is half way (20 minutes by car) between Split and Trogir. Zadar and Pula airports are less regularly served by direct flights. Rijeka is a refuelling strip and a stop off for some flights. Croatia Airlines, (http://www.croatiaairlines.hr/), operate regular direct flights in the summer, from both Heathrow and Gatwick, to Dubrovnik and Split. In the winter, the direct flights to Split and Dubrovnik are less frequent and you’ll probably find yourself having to fly via Zagreb. That can be a problem on some days of the week with long waits on the journey from Zagreb to Split and Dubrovnik. There are periodic special offers but the prices are still surprisingly high given the ever increasing competition and the spare capacity still available. My flight from Zagreb to Heatrow today can't have been more than 20% full.The best return fare I’ve had this year, in the winter, is £150 and it can be £260. That being said, general standards are high but you’ll probably get fed up with cottage cheese, and cold turkey and carrots. One final note of caution – although the pricing part of the website has recently been considerably improved, don’t take the prices on the website as gospel. To date I’ve always managed to get a better price, either via a travel agent, or at the Croatia Airlines desk at Split Airport. Be prepared to query the first price you get and ask if there’s a cheaper class. British Airways (http://www.britishairways.com/) have been flying direct to Dubrovnik for a couple of years and extended the service to an all year round one at least a year ago. They only started flying direct to Split last summer and initiated the service with three flights a week from Gatwick, starting in late March and ending in late September. This year they’re flying 6 times a week from March to September and 3 times a week in the winter. That’s a good indication of how they see the market developing. If you book far enough in advance, you can get a basic return to Split for around £120, the only problem being that some of the flights now get back to Gatwick quite late. Ryan Air (http://www.ryanair.com/) are the best bet for a reasonably priced single ticket but, at the moment, you’ll have to get an overnight ferry from Split to Ancona in Italy, and fly from Ancona to Stansted. The ferries operate daily in the summer, but not in the winter, so check the timetables first before booking your ticket. There have been rumours that one of the budget airlines will be flying to Split or Zadar soon and we’ll keep you posted. Wizzair (http://www.wizzair.com/) have just started flying between Luton and Zagreb in the summer. If you want to travel onto Split or Dubrovnik (or Pula or Zadar) you’ll need to get a connection from Croatia Airways. There are plenty of other permutations for getting between, say, Split and London without going through Zagreb. Try Malev Hungarian Airlines (http://www.malev.hu/) or Czech Airlines (http://www.csa.cz/) but expect a few hours wait between connections. Needless to say, if you leave it late to book for a trip in the height of the season, you can expect to pay for the privilege. Both BA and CA quoted around £700 for an August flight to Split, at one week’s notice. Fair enough, in many ways, as they are both normally fully booked in July and August. The main international ferry ports of Pula, Rovinja, Zadar, Split and Dubrovnik, connect Croatia with Italy. Almost every island of any size has at least one ferry port to limk it with the mainland or neighbouring islands, and the state owned Jadrolinija ferry company (http://www.jadrolinija.hr/) is more of a traditional public service than a commercial operation. In this respect it has many similarities with the Croatian Post Office – see Inaugural Links posting. The other main ferry company is Blue Line, (http://www.bli-ferry.com/). Amazingly its schedule is synchronised with Jadrolinija, for winter trips to Ancona, so you get two ferries on some days of the week and none on others. Most of the international trips are overnight and the local ferry services tend to be geared to islanders working on the mainland rather than tourists. Train is probably the slowest and most difficult way of getting around the mainland. High speed trains are being introduced but the rest of the infrastructure will need some attention and modernisation. For more information look at the official website of Croatian Trains, http://www.hznet.hr/. This is the cheapest and favourite mode of travel for most of the population. There are regular, comfortable, long distance coaches connecting the major cities. The downside is that the roads are not great (see previous posting “The Living is Easy?”) so the journey will take longer than you expect with several comfort breaks. Frequent, but less modern, buses operate the local routes on the mainland and islands. On the islands, timetables are geared to ferry arrivals and departures. A number of different companies operate the routes and many of their web sites do not have an English version but have a look at http://www.ak-split.hr/ for an idea of services from Split. Even the smallest village has a bus time table displayed somewhere, normally near the public telephone, so you won’t find it hard to get the information you need. Dogs do not seem to be allowed on buses or coaches. 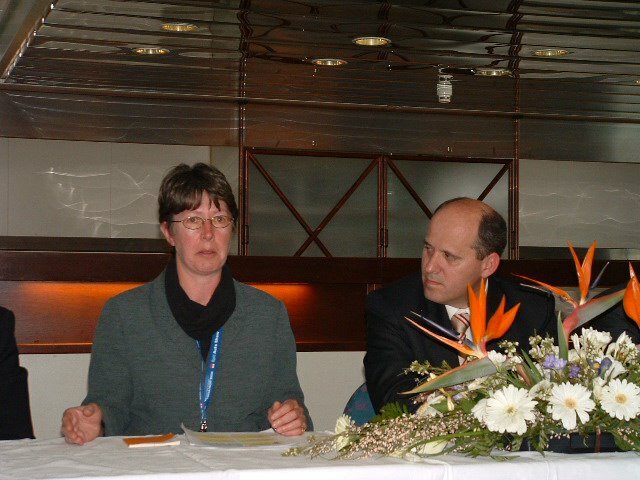 We spent five days travelling by car, from London to Trogir, when we first came over in November 2002. Our dog was with us and we wanted to make a bit of a holiday out of it so didn’t push it, averaging 500 kilometres a day. We know people who have done it in two days but not with a lot of sleep. The worst part was the coast road, south from Trieste in Italy, all the way to Split. Croatia’s first motorway along the coast, and to Zagreb, is now complete and makes life much easier unless you happen to hit it on one of the “influx or exodus” summer weekends. However, apart from the motorway, Croatian roads aren’t for the feint hearted! Car hire is a little cheaper than western Europe and fly drives are a great way of seeing the real Croatia without having to spend too much time on the single carriageway and hair pin bends of the main coast road! We’ll be keeping a general eye on travel news and examining the various options in more detail in future postings. However, at £100 return, and with the Croatian skies finally opening up, how can you resist the opportunity to explore the best of what Croatia has to offer. For a glimpse, see yesterday’s posting – Which Destination and When? Monday Column - Croatia Destinations 1: Which Destination and When? Like many countries, Croatia can provide a wide variety of different choices, depending on what you want from your holiday. It must be very high on the list for a Mediterranean sailing holiday but possibly nearer the bottom for a high rolling “entertain me” type holiday. Why? You’ll find it very hard to spend your millions in Croatia since the tourism infrastructure is just not ready to take it from you yet. There are few golf courses, limited facilities for Superyachts, just a smattering of low key casinos, not much in the way of celebrity night clubs, and why offer French Champagne when the local version is ok and, more importantly, Croatian? There are exceptions of course: Hvar town on Hvar Island is attracting ever increasing numbers of the rich and famous and increasing its prices accordingly, Kastela Marina, near Split, is the first marina to specifically aim to cater for Superyachts, Zagreb, the capital city, is a buzzing cosmopolitan café society and Zadar and Split are beginning to develop a more sophisticated entertainment offering. However, none of them are much of a match for Monaco or Monte Carlo yet, though keep a watchful eye on Cavtat, Jelsa (Hvar Island) and Korcula (Korcula Island). For sailing, Croatia has much to recommend it, particularly its 1,185 islands and islets and the crystal clear waters of the Adriatic. Chartering is a subject we’ll be looking at, in detail, in a few weeks time, in the Tuesday Tourism column. 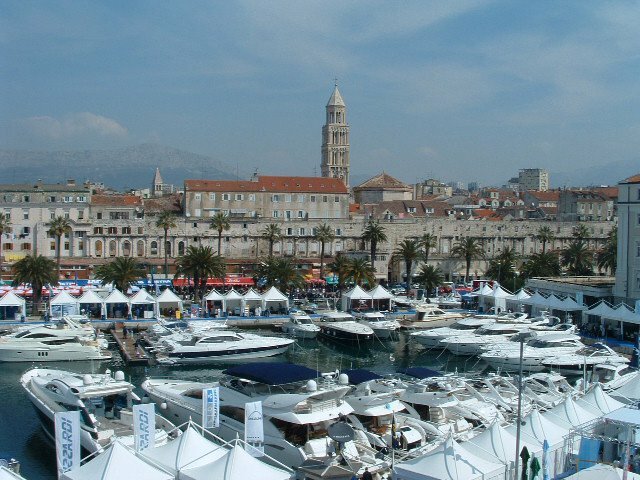 Bringing your boat to Croatia is a hot topic, in view of confusing and changing legislation, and that’s high on the list for the Thursday Lifestyle column. However, for the purposes of today’s posting, we’re focusing on a review of destinations. So, if you’re a sailor or want to try your hand at it, where’s the best place to start? The answer is almost anywhere, depending on the length of time available and what your preferences are. I’d pick Trogir, Kastela or Split as being best situated for travel by air and offering the most varied sailing routes and stopovers, all within easy sailing distance. Biograd would be a good choice for exploring the untamed wilderness of the Kornati Islands, though the town itself doesn’t have a lot to offer. Sibenik is still a little industrialised but has a great heart and is close to some enchanting small islands, and not far from Kornati. Zadar gives you easy access to Pasman and Ugljan Islands and the sailing conditions are great in the Pasman Canal. Dubrovnik town offers plenty to the land based tourist, has its own international airport and is in easy reach of Mljet and Korcula islands. Last but by know means least, the Istrian Peninsula, in the north, has its own distinctive character and some more great destinations to discover such as Pula and Opatija. If you’re a land based tourist, looking for a traditional beach holiday, then there are plenty of package style destinations to choose from. 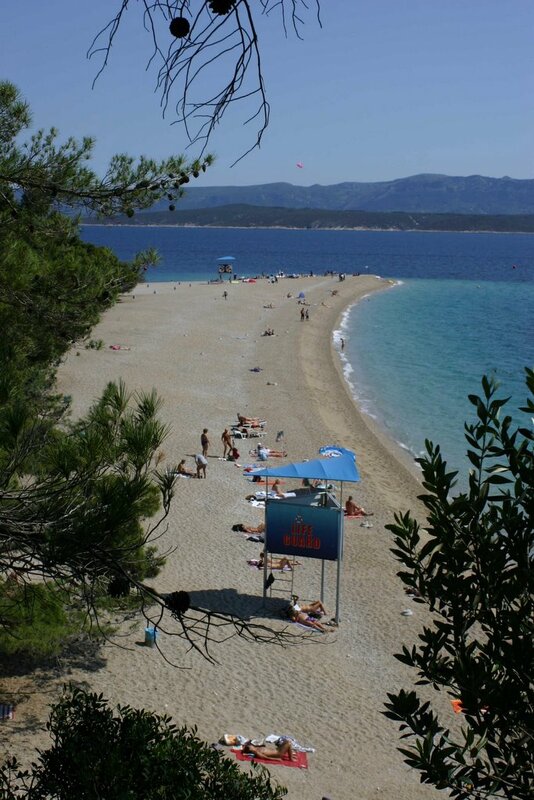 There are some sandy beaches in Croatia, but pebble beaches are more common, so bring your jelly shoes with you. Also be prepared to accept a little less local character in return for more readily available entertainment and facilities. The Makarska Riviera, south of Split, is somewhat dominated by large hotels and campsites though it’s still very beautiful. 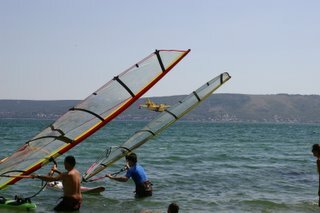 Biograd has a similar style and the Istrian Penisula has some enormous holiday villages offering most conceivable sports. If you want to see the real Croatia then organise your own holiday, probably in rented holiday accommodation, and pick your destination according to your preferences. 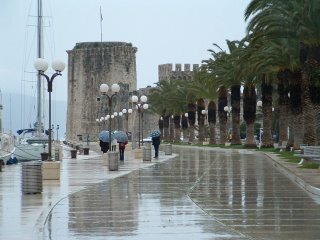 Trogir is one of my all time favourites for a number of reasons and we’ll be covering it in more detail in next Monday’s report. It’s self contained, has a buzz all year round and is steeped in history and the architecture that tells its story. Logistically it’s close to Split airport and the ferry port, which will connect you to the nearby popular islands of Brac, Hvar and Vis. 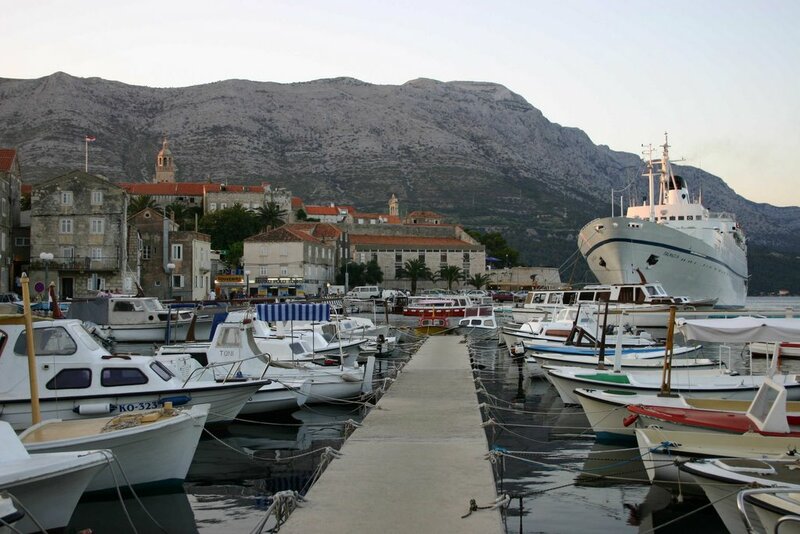 You can also take a ferry from Trogir itself, to the small islands of Veli Drvenik and Mali Drvenik. Elsewhere on the mainland, the medieval walled town of Dubrovnik is a spectacular destination with a more sophisticated tourist infrastructure, nearby Cavtat is less developed with a relaxed feel and, further north, the towns of Zadar and Rovinj are perfect examples of the eclectic architecture that tells the story of Croatia’s rich and varied past. If an island holiday is for you, Brac is one of the larger islands and was the source of the white stone used to build The White House. Its size and proximity to Split makes it popular with tourists but there are plenty of villages and beaches to choose from. Brac is also the home of Croatia’s most photographed beach – near Bol – a jutting narrow pebble peninsula that changes shape with the tides and currents and is popular with windsurfers. Hvar island enjoys the sunniest climate and we’ve mentioned Hvar town above. For a quieter life, Vrboska may suit you better, known as Little Venice on account of the number of stone bridges. Within walking distance of Vrboska is Jelsa, tipped to become the next Hvar. The island of Vis was once a military stronghold for both the British and the Yugoslavians and has only relatively recently opened up to tourists. 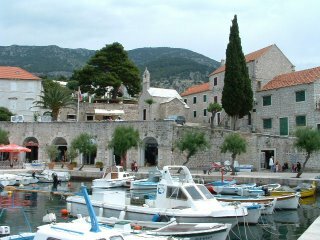 The towns of Vis and Komiza are therefore havens for visitors that want to get away from the madding crowds. Rab Island is special for its sandy beaches and Korcula Island for the cobbled Venetian streets in the town of the same name, as well as its claim to be the birthplace of Marco Polo. Mljet Island boasts lush greenery and natural lakes, and the islands and islets of the Kornati Nature Park provide an unbelievably stunning vista. 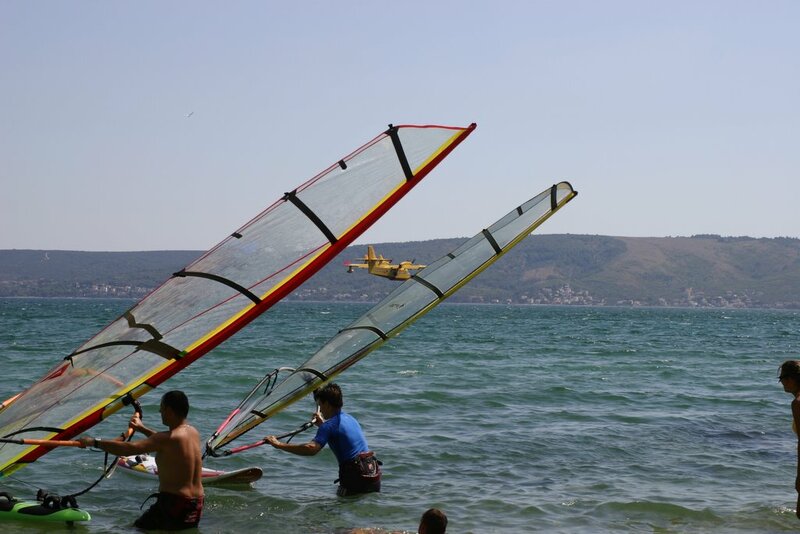 There's windsurfing at Bol, on Brac Island, and Viganje, on the Peljesac Peninsula, plenty of naturist beaches, mountaineering in a number of places, fishing and diving almost everywhere, white water rafting on the Cetina and Neretva rivers, and an ever increasing number of grape and olive growing tours. Croatia is slowly escaping from its traditional tourism past and we’ll be looking at special interest holidays in more detail as the weeks progress. The large older hotels predominate but there are an increasing number of smaller family hotels being built. Trogir has a couple of good ones – Concordia and Villa Sikaa - either side of the channel separating Trogir centre from the mainland and Ciovo Island. Enterprising locals on some of the smaller islands see boutique style hotels as a way of attracting new tourism and these are worth looking out for. However don’t expect any of the hotels to be that much cheaper than English equivalents and, if travelling on a budget, you’ll do much better in rented accommodation, particularly if you stay in the same place for a week or more. A few words of caution though. Firstly, many apartment owners just can’t be bothered with one or two day lets, particularly in July and August, so if you are on an “explorer” holiday, staying a day here or there, you may have to use hotels. Secondly, the owners don’t tend to ask for deposits and are frequently let down by people who have booked but then find something better en route and don’t turn up. If they’ve had enough of this then you may well find they’ve adopted a similar approach and double booked your apartment before you turn up. It’s unusual but it’s well worth making contact with the owner again, a few days before you arrive, so they know you’re definitely coming. Finally, especially in the smaller towns and villages, don’t expect to find an apartment outside the high season, even early June and late September. Croatia still works on a very short “season”. For a beach holiday, if your circumstances permit, as near to the school summer holidays as possible but not during them. That way the sea is warm, the restaurants are open and the weather should be good but you won’t be overwhelmed by the deluge of package tour holidaymakers or the locals going down to their summer houses. Sailors will experience less traffic, better winds and less pressure on moorings, outside July and August. The sea is still very warm in September and warming up in June and July. Croatia is not a destination for winter sun. Yes, there are a few lovely days when you can take a coffee outside but there are more days when the Bora, a cold north east wind, will have you wishing you’d bought your thermals with you. Many hotels and restaurants, and most apartments, will be closed up for the winter and if you do manage to find someone willing to let accommodation to you, it may well be missing any form of heating. November to February are the wintry months and you will be taking your chances in October, March and April. As with anywhere, the weather is not to be relied upon, but May and September are good months for exploring with a reasonable chance of classic Mediterranean warm weather. Hopefully this posting has whetted your appetite for Croatia and given you an idea of what’s on offer. Future Monday postings will focus on specific destinations, starting with Trogir, and the Tuesday postings will cover various aspects of tourism, tomorrow’s theme being travelling to and from Croatia. In this, the first week of Croatia Online, we’ve looked at living in Croatia, doing business in Croatia, made a brief comparison with Southern Ireland and touched on Croatian sporting stars and food and drink. All huge topics in themselves with plenty of scope for more detailed postings in the future. A detailed look at specific destinations. Next week we’ll be summarising the range of what’s on offer. Tourism is one of Croatia’s biggest industries and we’ll be picking a subject each week to explore. Travel to and from Croatia will be the first subject. Croatia has plenty of other successful business stories, apart from tourism, and we’ll be examining different industry sectors on Wednesdays. The first article will be an identification of some of the key business sectors. This gives the opportunity to look at various subjects concerned with living in Croatia – buying or renting property, shopping, cooking, entertainment, etc. Our first report will be a general look at property. News, sport, comment and the best links of the week. You’ll see from an earlier posting that one of our 5 “worst” features about Croatia was the bureaucracy. That makes doing business difficult when you come from the relatively transparent UK environment. Many business visitors get very excited about the potential and then start drowning in red tape. My partner and I are involved in the marina industry here and we’ve sweated alongside our contacts as they wait for all the various permissions that they need, a process that can take two years or more. So if you’re an entrepreneur and spot an opportunity, it may be gone by the time you are allowed to start trading. Exporting to Croatia is also problematic due to the ever changing rules on tariffs, and the limited number of reputable carriers that operate from England to Croatia. However, assuming you can get all the paperwork organised and you want to break into the Croatian market, have you done your market research? There are less than 5 million inhabitants, about the same population as Southern Ireland, with 20% of the population living in the capital city of Zagreb. Croatians are proud and somewhat nationalistic. They are also very resourceful. Remember the “I’m Backing Britain” several years ago? Croatians Champion Croatian products and if it’s not manufactured here, they can probably come up with a decent clone given time. Italy is just across the Adriatic. Germany, Austria and Hungary are a little further away but they have all been doing business with Croatia for some years. The UK doesn’t even make the chart, which means other countries have a head start. This is not the place to explore the old boys network in detail but the village culture means everyone knows everyone else. A local competitor can normally find an “in” to most places via a school friend or a cousin and you will be starting from scratch. Despite all of the above, there are many plus points. Taxation arrangements are favourable, there’s a good supply of relatively cheap and well educated labour, the market is beginning to open up, and the recent start of EU Accession discussions should eventually lead to a business environment that resembles western Europe more closely. On top of that, although negotiating a deal can be a slow process, our experience is that, once concluded, Croatians stand by their word and you can build a good relationship with them. The best “beermat” advice is to get a good local accountant and lawyer, use the commercial services of the British Embassy, find a well connected local partner and stick at it for twice as long as you originally planned to. Many foreigners dip in and out of the Croatian market but once your local network knows you are here to stay, business will build. This posting barely scratches the suface so we’ll be exploring the subject in more detail in the future and having a look at some of the websites that can help. Yes and No! Certainly the Dalmatian Coast has a laid back pace and feel to it, the scenery is spectacular and you are never far away from a quiet bay, but like anywhere else there are drawbacks. Here are five of the best and five of the worst features of day to day living, based on our experiences, over three years, in Trogir and Kastel. I’ll be expanding on some of them in future postings. It will take you a very long time to discover all of Croatia’s secrets but almost everywhere the water is still crystal clear and the scenery spectacular. Let’s hope the increase in tourism doesn’t cause unwanted changes to this but more of that in a later posting. Dalmatia is one big village. Although a percentage of the population have gone abroad for work, on the whole, families tend to stay together and most of the locals can tell where someone comes from by their surname. The Dalmatian attitude to foreigners is helpful but reserved. If you want help, you’ll get it, but you won’t be greeted by overt curiosity. English is the first foreign language taught in schools but German is more prevalent amongst those over 50 as the Germans have been having their holidays here for years. The village culture, where everyone knows each other’s business, makes it a very safe place. It’s one of the few places in the world where you could leave your wallet in a busy outdoor restaurant and expect to pick it up intact the next day. Although eating out is a fairly predictable experience of grilled fish or meat (see previous article) the raw materials are hard to beat. We found the flavour and colour of Croatian tomatoes and eggs particularly outstanding in contrast to the bland, EU produced, equivalents. If as I do, you come from a large town in England, you will relearn the seasonality of fruit and vegetables as you watch the smallholders harvest one delicious crop after another and set up their wheelbarrow on the main road. Croatia is not as cheap as, say, Rumania or Bulgaria, but you get an awful lot more for your money here than in England. It’s a smokers’ paradise at £1.30 a packet, and white goods and furniture are also very good value, with an ever increasing number of overstocked retail centres. 5. Unspoilt – so far! Tourist offers are still fairly basic and the treasures are still mostly hidden so it’s a continual voyage of discovery. There are a few exceptions, mostly in the traditional, Yugoslavian style, package holiday resorts favoured by the eastern European tourists. That will change. The simplest things can be a nightmare to achieve. The rules and regulations are changing quickly, within a heavily centralised, ex communist, administrative framework and it’s difficult to get a definitive answer on anything. More commonly you’ll find three different people who have achieved something in three different ways. We have friends who have gone through the hoop trying to bring their furniture in, we’ve heard plenty of horror stories about buying property, and the process of extending a stay for more than three months is a voyage into the unknown for the authorities and the applicants alike. It’s best just to keep your head down, as the locals do. Once you get into the system be prepared for a deluge of forms, stamps and legal fees. Remember your brief encounters with Latin at school? If you try and learn Croatian you will wish you had been more diligent or taken on Russian instead of German or French. The good news is that the pronunciation is consistent. The bad news is that there is a multitude of different endings, depending on the seven cases, the three genders and singular and plural. Even proper names change endings. You’ll also be faced with some very long words with very few vowels. You can get by without it but if you want to integrate, you need to dig out your old grammar books and find a teacher. Croatia requires a whole different style of driving and an adventurous spirit. The first motorway, between Split and Zagreb, is now open and makes a big difference, but the main coast road is full of hairpin bends, steep drops and single carriageway. Many of the local roads have open drainage ditches, inches from the side, which just look like big puddles when it rains hard, and cat’s eyes are unheard of. You need to relearn your overtaking skills and develop the Croatian ability to see round blind corners. Measures are slowly being taken to improve road safety but stay alert. Anywhere along the coast, living conditions change dramatically when the short summer season arrives. The standard trip from Ciovo island, through Trogir to the coast road takes an hour instead of five minutes, the beaches are packed, you can’t get a table in your favourite local restaurant and seasonal bars and restaurants pop up from nowhere. There is a certain buzz to it all but we prefer to escape in August, either inland, or out on our boat. “The Season” has other frustrations – it stops as abruptly as it starts. We explored the islands of Pasman and Ugljan in the first week of September. The weather was great, the sea was warm but not one single restaurant was open for lunch. Everyone seems to be building an apartment to let to the tourists, wherever they can find a spare plot of land. Many of them are unfinished, waiting for the next bit of seasonal funding to materialise. The government are trying to crack down on properties built without the appropriate planning permission and have introduced new legislation to stop any further building right by the sea. However, there are some newly built monstrosities around while beautiful old stone houses, probably owned by Serbs or Bosnians that fled during the war, fall into disrepair. 1. Google News - it's hard to fault Google on their blogger service and great to have a professional "venue" that doesn't involve all the mysteries of web site publishing but does encourage the learning process. So Google News stays for now. 2. The Croatian Post Office - brings back distant memories of an England that once was. 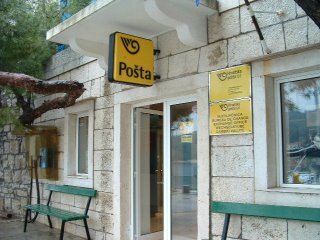 In Croatia, if you have a settlement of any size, you have a post office. Unusually, you may find that English may not be that common amongst the staff but you can draw out cash on your credit card, change money, make cheap phonecalls, pay your bills and, of course, get your mail posted. HQ was as helpful as any organisation I approached for help with my book. I hope the Croatian Post Office learns from what happened in the UK and hangs onto its extremely valuable network, particularly in the more remote areas. 3. The Croatian Tourist Board - I'm sorry to say that the Croatian Tourist Board were not as responsive on specific requests as the Post Office. However the site is good and there is enough literature, thoughout the regions, to drown even the most hard working researcher. The downside is that you normally have to go to your desired destination to find it. I'd guess that the proliferation of tourist offices matches that of post offices though the opening hours maybe a little more erratic. The site has a reasonably complete list of destinations and links to local sites, where they exist. It's a good place to start. Not only is Croatia the current holder of the Davis Cup but Ivan Ljubicic is now in the quarter finals of the Australian open. In skiing, Janica Kostelic has just won the Super-Combined (downhill and slalom) World Cup at St. Moritz, Switzerland. Not bad for a country with under 5 million inhabitants. Croatia also has world class teams in handball and water polo and is a great footballing nation. You may not realise that you can take a two hour drive from Split and find some quiet ski slopes across the border in Bosnia - don't expect all the facilities but enjoy the deserted slopes. If you like plain and simple cooking, Dalmatia is for you. Grilled meat and fish are the standard fare in restauraunts, or you can book ahead for lamb "under the bell" (peka) which smoulders in hot ashes for a few hours. Italian restauraunts are fairly common and Pizzas are good. Blitva, a bit like spinach, seems to be the favourite vegetable and chips are ubiquitous. Fish is of course a favourite, though the quality and price varies considerably and you can expect to pay at least 20% extra on some of the islands. It's sold by the kilo so just watch out that you don't get something a bit bigger than you need. It's hard to find anything more varied that the standard grills. All in all though it's good value and a main meal with a bottle of wine and a coffee will set you back a tenner a head. Croatian wine is fine but if you're not a connoisseur make sure you ask for the house wine which will normally come in a carafe. The local liqueur is Travarica or Rakija which will definitely warm you up on a cold night. Orahovica, a liqueur made from walnuts is another local speciality and Prosec, a pink desert wine, is a great aperitif for those with a sweet tooth. In general we've rarely had a problem with restaurant bills, the exception being Hvar Town on Hvar island where "selling up" to tourists seem to be fair game. 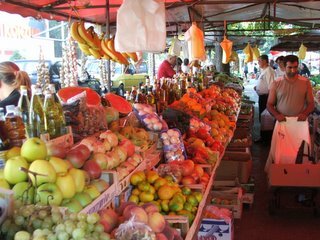 If you're shopping, the markets are the best bet for fruit and vegetables but choose your vendor carefully and be prepared to haggle once you've researched prices. The large supermarkets now have a much wider range of products and you should be able to find most things if you hunt around. We only miss, tea, marmite and English bacon. Think laterally of Southern Ireland ten years ago and think Croatia. Similar size and population, comparable resourcefulness, education and intellect, and aspirations of finding a rightful place in the world, not determined by historically powerful neighbours, world politics and geographical boundaries. Ignore, or set aside, the arrival process! Mary Robinson, as President of Southern Ireland, used to light a candle every night for the Irish Diaspora. Southern Ireland is one of the few success stories, recently, within the EU; Croatia could be the next. I’d guess that the Croatian Diaspora might be at least as large, hardworking and influential as its Irish cousins but has a few extra challenges to meet. Whenever you get to meet a Croatian “returnee” you know that’s someone you can deal with. Who’s lighting the candle? What's it really like living in a transitional country? Does Croatia live up to the hype and what's under the surface? Over four years of living and working in Croatia, and travelling around, by car and boat, gives the sort of unique insight you won't get from the travel or business media. Watch this space for a real taste of Croatia, regular news updates, the business culture, how to get the best out of it, what to avoid and what the practicalities are. Plus all the latest news on travel and tourism and the secrets of the undiscovered destinations.